A website’s credibility depends a lot on the site’s ranking over the major search engines like Google and Yahoo! People actually start appreciating your efforts when your website appears on the first page of Google. This clears that the major search engine of the world is showing trust on you and recommending your services and products to its millions of subscribers. Things become quite difficult for you when you start losing the ranking over here and start searching for the ways on how to get your position back on the first page of search engine. The algorithms of Google change so frequently, leaving many companies to wonder what they should do now to fix the issue. Of course, you could miss out several points to determine the actual reason since understanding how Google algorithm actually works requires an expertise. According to many SEO professionals, it’s wise to follow the digital marketing strategy to deal with such a situation. Like many others, you might have forgotten to fix the dead links and redirects before getting your website live. Checking the dead or inaccessible pages of the website is the utmost priority for any good SEO. Fixing this issue could be possible easily with the basic knowledge of Google Console since the dashboard will show if any such problems exist on your current website. It’s normal if you have lost one or two inbound links since there are possibility of making some changes when some sites link to your website. However, things seem not to go into your favor when losing of a significant number of links occurs in a very short time period. It generally takes place due to finding the links to be unnatural. And you know it very well that Google hates unnatural links more than anything else. 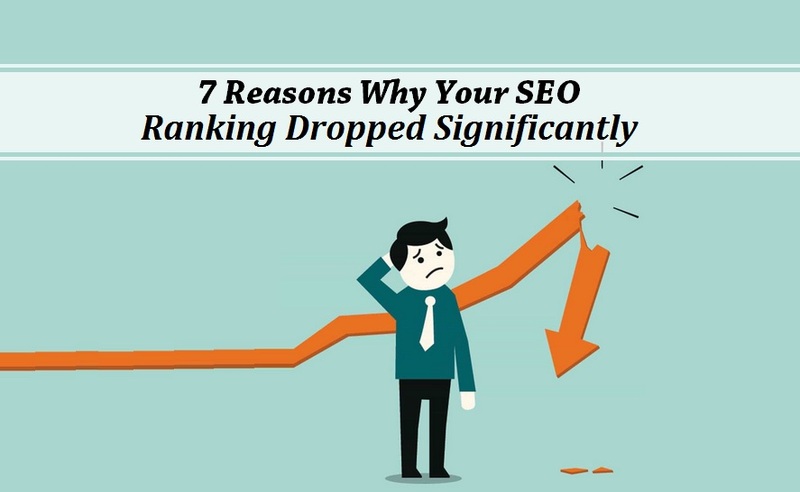 Most importantly, a drastic drop in your Google rankings could be seen due to losing of a great number of inbound links. Remember, Google may penalize you for the long time or sometimes permanently if this continues. Although Google consider the regular link loss as a negative activity on your website, it’s not good if your website is gaining too many links shortly. Google also considers this as a suspicious activity. In professional language, it is known as the link spam that may trigger Google to penalize your website for the presence of unnatural links. In most of cases, people are not aware of the manual or algorithm penalties from Google. You can find it using Search Console. You are much advised to have a look under the “Manual Actions” section to check if any suggestions are there from Google to sort out any such issues. Gone are the days when SEO was limited to a few techniques. However, today the way it works has been changed to a great extent because of the way people search over the internet. In the earlier times putting the keywords right from the URL to the content, headers and title was enough to bring your site in good ranking. These days, Google queries suggest that people love to type the words having longer keyword phrases while looking for their desired products/services. Although there is a very low effect on your site ranking due to this problem, Google will take only a few minutes to push you back if it finds that people are showing interests in visiting other websites. Ask your SEO to see the CTR over the period of last 90 days to check if any significant dents occurred. Although sometimes it becomes pretty difficult to know what actually triggered your site ranking on Google, having a quick look at the points mentioned here will help you to know the valid reason of dropping your site ranking and how to fix the problem. Guest article written by: Shruti Mahour is a creative and professional blogger at leading SEO company Link Building Corp. I have almost 5 years of experience in digital marketing industry and know the trendy strategies that helpful in boosting business across the world. Wonderful tips here. You’ve done a good job addressing link issues. Links, both internal and external are very important to SEO and your ranking can drop due to links. Blogger should be careful on how they build links. I really appreciate the points you covered in this article/blog SEO algorithm should be noticed before starting any SEO for any website.